Things are getting harder in life these days. Huge unemployment levels, high crime rates among others. Football isn’t excluded from the hard times faced. Football has become tougher because teams are getting tougher to beat. It’s not a case of David vs. Goliath fixtures these days especially in the EPL. Getting a victory against the teams we see as winnows is hard to get. You have to work hard to get the victory sometimes like it’s a cup final against these minnows. Because of the intensity of winning games, football club executives do not exercise patience. A lot of money is pumped in these days to improve the profile of clubs even the minnows. If results are not going well, the blame is turned to the man handling matters on the touchline and if things don’t improve, he gets the sack. Such is how it has become these days. Money doesn’t grow on trees and football managers must show positive results for the heavy amounts disbursed by club boards. One has to wonder and ask what David Moyes is still doing at Manchester United. Under his spell so far, United have had one of the worst runs that can be dated back to the 1970s when the club had fallen from grace to grass. 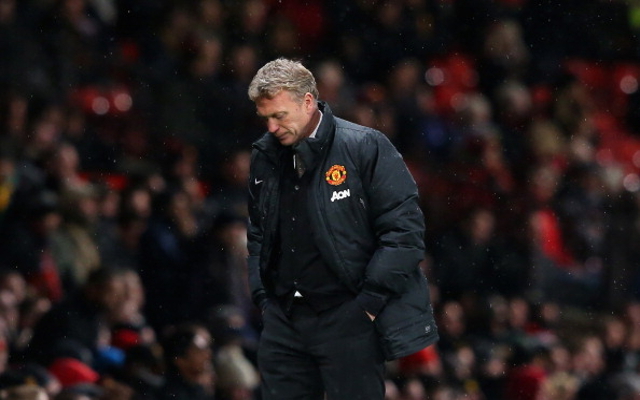 Everyone kept having faith in Moyes, giving him time to adjust and improve things but all that time has run out now. He has placed United in the worst possible position of 7th in the league that is under jeopardy from the likes of Southampton and Newcastle. He has not been able to show tactical finesse in anyway. The current united team might not look great but it’s not like the team in terms of players is worse than Everton or Southampton players. There is just no motivation and determination in the team. They are bereft of confidence. When Fergie was in charge, if United are two goals down, the intensity increases for United to score and that’s how many of the late come backs happened. That is not the same with this team under Moyes. The team doesn’t look like it wants to win and when they concede that adds more to the misery. An attack made up of Van Persie, Rooney, Mata and Chicharito should be one of the most potent attack forces in Europe. Unfortunately that is not the case. Atletic Bilbao that lies in 4th place in the Spanish La Liga has more goals than united in the league. Both clubs are not in the same class so how is that happening? The united board has been patient enough to allow Moyes to still be on the job. There isn’t any top club in Europe that would take it easy with or have its manager still in charge if the club was in unfamiliar territory. They have given Moyes enough chance but he hasn’t proven himself which is a shame. He hasn’t even brought out the best of Juan Mata who had been Chelsea’s most outstanding player for the past two seasons. Yes united needs to rebuild in the summer but not with Moyes in charge. He might bring in top quality players but he won’t know how to manage them. At the start of this current season, I felt united won’t be able to defend the league title because of Moyes’ inexperience at the top level and I assumed that united would be hanging in maybe 2nd or 3rd place which everyone would credit Moyes for but maintaining 7th place for over 2 months is total disaster. The united board needs to show Moyes the exit door and bring in someone that is capable of rebuilding the team so as to continue the tradition Fergie laid down. Failure to this will only mean that Manchester United might have another dismal campaign under the name of David Moyes next season.